For episode 14 of Crosshairs Radio we talk to SDG Muscle Monster’s Amanda Nauman. You may know Amanda from the column she writes for In The Crosshairs, Panda’s POV, and now you get to hear her whole story. From growing up as a competitive swimmer, to discovering bike racing, and catapulting to the top of sport in fairly short time period. 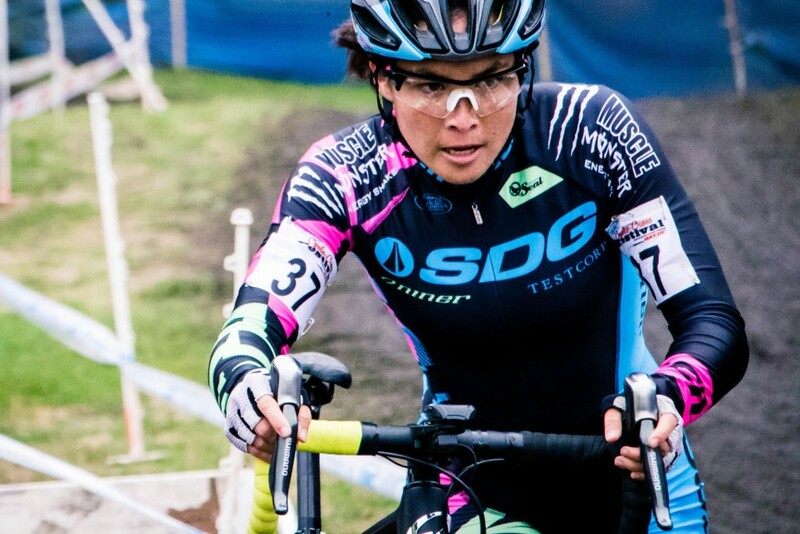 Amanda has some great stories and her bike racing career so far is a fun one to follow. Thanks for tuning in and for your continued support of Crosshairs Radio. Thanks for tuning in. You can support the show by rating and reviewing at iTunes. You can also start buying your holiday gifts at www.crosshairscycling.com/shop. Also visit www.svenness.com for your SVENNESS shirts and socks, and www.cyclocrossbook.com to get your copy of Skills Drills and Bellyaches: A Cyclocross Primer. Please subscribe to Crosshairs Radio on iTunes, if that’s how you consume podcasts. Also, rate and review on iTunes, even if it’s not the way you consume podcasts.You can follow me @cxhairs onInstagram and Twitter. Thanks for listening. Howdy, newbie question, bear with me. In the Amanda Nauman podcast episode there are a few mentions of Masters nationals & the “real” nationals….is there a stigma or a tongue-in-cheek view of the Masters class? Honest question, I’m not baiting anyone up for comment war, just help me understand the differentiation. Thanks in advance. Hey Harwell, if I recall correctly we were talking about Worlds and not nationals. And the “real” distinction was purely about courses rather than competition. Masters Worlds in Louisville took place at a course adjacent to the course the pros raced on or what I referred to clumsily as the “real” course. Nationals on the other hand is all real, despite your age or category.